Rohtash Nath(45) holds the Guinness Book of World Record for playing the ‘Been', a musical instrument played by Snake-charmers, continuously for ten hours at a stretch in an event in Taiwan in 1980s. I came across the World Renowned Snake Charmer at SundarKund in Faridabad. Curious about his appearance, I asked him if Saffron was his favourite colour. He answered that Saffron is the color of his Tribe, also exemplary of his warm and attractive personality. He went on to explain that he likes to keep his look minimal with details that include little embroidery on the kurta, paired with a plain dhoti. So that the music he produces is not overpowered by the 'Bling'. 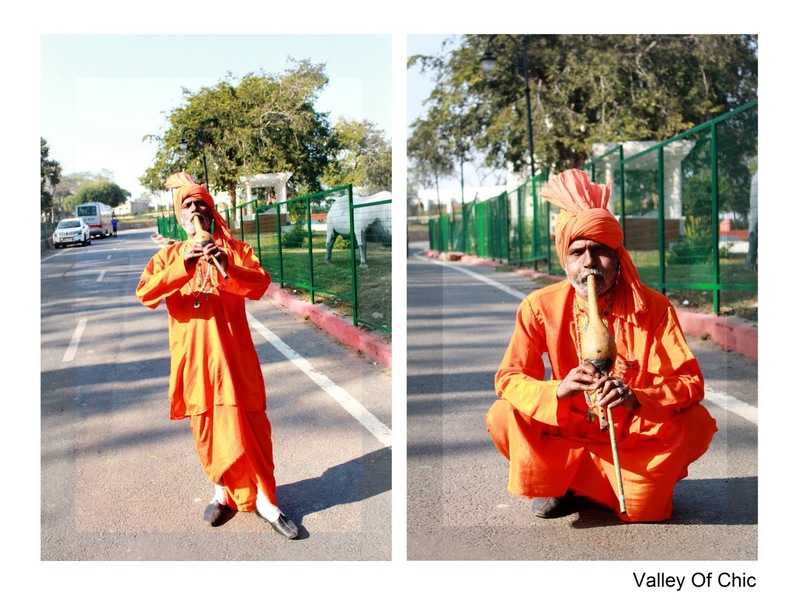 He was generous enough to put on a show of his talent for me, and I believe that the snake charmer could quite effortlessly charm a human too.